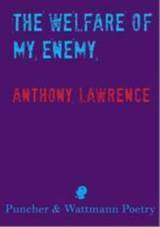 Anthony Lawrence has published fourteen books of poems and a novel. His most recent collection is ‘Signal Flare‘ (Puncher & Wattmann, 2013). His books and individual poems have won many major awards. In 2013 he won the Blake Poetry Prize. Lawrence’s final blog was due to be published last Friday (7 March). It was to be an interview with Lawrence conducted by the young poet Robbie Coburn. Southerly, however, refused to run the interview claiming, according to Lawrence in a post on Facebook, that the interview shifts Lawrence “into the third person” and that the form of the blog “presents as self-promotion”. Lawrence also claims that another reason Southerly refused to run his final blog as he was critical of an aspect of John Kinsella’s political poetry. Given that the final Lawrence blog will now not appear in Southerly and that it does fit together with a number of the other blogs published during February (particularly the Adamson piece where Lawrence describes the influence that meeting Robert Adamson and a number of other poets had on his development as a young poet), Rochford Street Review has made the decision to publish Lawrence’s final banned Southerly blog in full. Comments maybe left at the bottom of the article. Anthony Lawrence’s poems capture the Australian landscape like a photograph. His viewfinder captures nature, and with vivid imagery instills clear visuals in the mind of the reader. 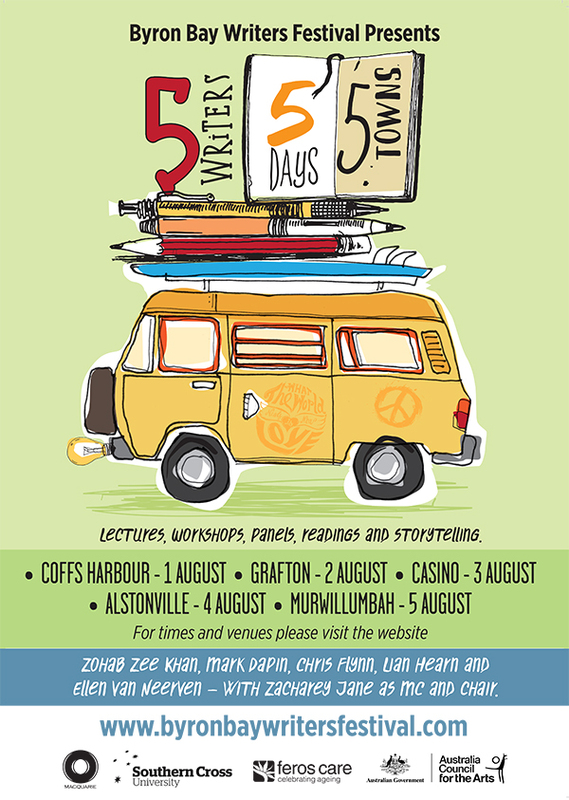 One of Australia’s most important contemporary poets, his work has been widely published in Australian and international journals, magazines and newspapers, and represented in anthologies. 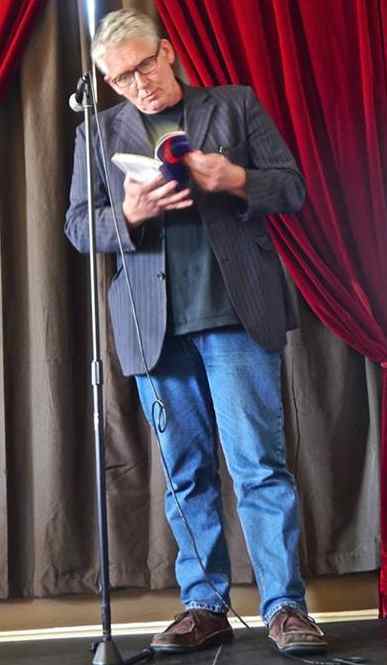 He has published many books of poetry since his first Dreaming in Stone (Angus & Robertson, 1989), edited anthologies such as The Best Australian Poetry for UQP, and has published one novel In the Half Light (Picador, 2000). 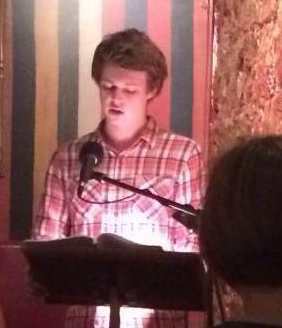 His poetry has won numerous prestigious awards, such as the inaugural Gwen Harwood memorial prize, the Peter Porter Poetry Prize and the inaugural Judith Wright Calanthe Award. With the land changing so drastically, and the state of the world altering, it is inevitable that nature will be viewed differently by later generations. But Lawrence is a poet who creates somewhat of a time capsule for future readers in his studies of nature, combining this with a controlled lyrical intensity and explorations of relationships and lives. His latest collection Signal Flare was published by Puncher and Wattmann in 2013. Nature is a consistent element of your work. Do you think nature can be preserved through poetry? The natural world has been a central focus in my work since I began writing poetry. The first (written evidence) of a poem that references nature can be seen on a sheet of white cardboard. I must have been about 9 or 10. The poem is called ‘Currawongs’ and is written in red crayon. It’s a rhyming poem about currawongs trying to navigate a strong wind while returning to their nests. There is a description of a tree, most likely a eucalypt. The sky is mentioned. I had recently discovered, by way of my maternal grandmother, Alfred Noyes’ poem ‘The Highwayman,’ and I was filled with the need to tell a story in rhyme. Currawongs were frequent visitors to our back yard. I’d sit and watch them after school. I wasn’t aware of this at the time, as I was just following my nerve and desire to create something, but I was making a big claim, from my nine years on the earth, that these birds are worth close scrutiny. I didn’t consider that anyone would ever read it. I felt compelled to record details of wings, sky, wind, nest, tree, eggs, and their calls. Years later when I discovered Crow by Ted Hughes, many of the poems of George Mackay Brown, the poems of Philip Hodgins, Robert Adamson, Elizabeth Bishop, Richard Hugo, James Dickey, Charles Wright, Mary Oliver and others, I realised how profoundly the best of their poems about the natural world have helped readers maintain a fierce interest in ecology, the minutiae of species, the underside of what seems obvious. I’m not interested in reading or writing poems that take the natural world at face value, where one or two physical elements are isolated and turned into verse. The only way poetry can invite or instigate serious debate about the natural world is to engage with it’s variousness: weather, the earth itself, flora and fauna, rivers and oceans and, personally, how humans interact with these things, either individually or through the changing filter of a relationship. A very early poem ‘Whistling Fox’, which you’ve mentioned and which I’ll address again later, involves a father-son relationship, Australian landscape, and the killing of a fox. It’s a poem that moves swiftly through these elements, but which I hope conveys a deep engagement with the natural world, while at the same time there is trespass, and sadness. It’s a paradox that surfaces frequently in my poetry: I’m here, and I’m involved, but in order for me to get close, I’m going to interrupt, briefly, the natural order of things. It’s what happens when we step out of our comfort zones and confront what’s happening beyond the window. Many know what a corella looks like. Many have seen a hawk floating at the side of the road, or riding an updraft over a headland. The difference between acknowledgement and serious study is to make the time to be still, to be watchful, to notice how a spangled drongo feeds and becomes a part of the shifting light in a tree. Poetry can offer us these things in unique ways. The poetry I love most is that which offers me different ways of seeing the natural world, and which challenges my perceptions of how things live and grow and move. This kind of poetry preserves and highlights what we can’t afford to ignore. ‘Be with me when they cauterize the facts. Insisting on what history exacts. I’m not advocating that all poetry be protest, yet if we’re going to preserve anything we’re passionate about, or care enough about to want to set down in a poem, then surely we owe it to potential readers to be fierce, engaging, challenging and understood. How do you think the human world reflects the natural world in poetry and can you give me some insight into how you use nature as a basis for an exploration of the self when approaching the writing of a poem? My responses will no doubt cross over and under each other, and I can see how much of what I’ve just addressed will be relevant to this question… so let me be circuitous. There’s no point in offering a personal response to any aspect of one’s own work unless influence is summoned to put things into perspective. I can speak with confidence about the poetry of others whose work has involved and engaged with the human/natural/worlds, and I can speak with authority about how I see these things as being reflected in, and totemic of, my own work. I’ll begin with the poetry of James Dickey, since I’ve already mentioned him as an influence, and also my last blog post for Southerly was a poem-review of some of his (early) poems. Next I’ll discuss your question in terms of the poetry of Philip Hodgins. Like many poets, James Dickey was someone who made mythologies from experience and wrote so convincingly of them that we enter his landscapes and rivers under the spell of his images and his control over the flow and shape of syntax. Whether he was in a canoe on a South Carolina river or recalling a story of killer whales tracking humans from under the ice, the raw human details are inextricably linked to the unfiltered details of the natural world in which these dramas and wild observations are played out. 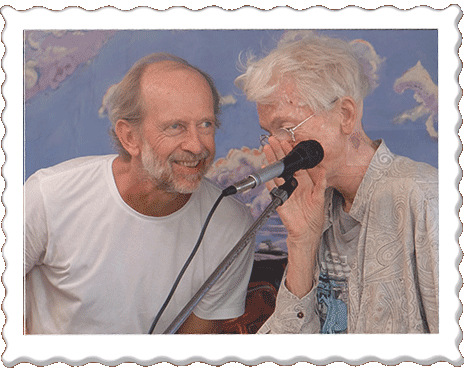 Dickey understood the power of narrative, and he cut his stories back to their essence. Certainly with his first three books, an intense lyricism was his defining gift: water, fish, trees, even a vast Antarctic scene – whatever aspect of the natural world he felt driven to define was done so through the eyes and pulse of a man for whom being alive was, for a long time, a hands-on, fully-lived adventure. Dickey’s images could be visceral and real, or surreal and playful, yet whatever he attended to had a vein of authenticity running through it. There was always a sense that this might have happened; that Dickey may have been there. If we sense that Dickey has invented a scene or situation, no matter how surreal the circumstances he evokes, there is almost always an accompanying sense that he had discovered something, about the natural world or himself, in the process of composition. Wallace Stevens wrote “The problem with surrealism is that it invents without discovering. To make a clam play the accordion is to invent, not discover.” When Dickey invented a heaven for animals or an eagle mating to death with a wolverine at the top of a sub-Antarctic spruce… you know he’s discovering things about what it means to engage in a raw, human way with the inventiveness of the natural world. I learned early from James Dickey that when writing about the natural world it’s okay to have a wild imagination and to engage with subject-matter some might find uncomfortable or confronting, as long as human involvement, whether peripheral or central, is part of the fabric of the poem. I first read the poems of Philip Hodgins while studying at Charles Sturt university in Wagga. Back then it was the Riverina College of Advanced Education, set among dry hills and massive river gums. I loved the Riverina landscape – the greys, browns and pale greens of the plains and Murrumbidgee River, the irrigation canals and dusty light, the extremes of temperature. Discovering Hodgins’ poetry was a pivotal moment – here was a man writing out of the urgency and pressure of a diagnosis and ongoing treatment for leukemia, and his poetry was often simultaneously an indictment and invocation of wonder at the Australian landscape and farming methods. Hodgins’ personal trauma heightened his vision, and his poems that deal with dairy cattle, pigs, termites, invasive livestock treatment, or rural landscapes often have metaphors of illness or death woven into them. Philip Hodgins was a master at using an Australian vernacular in such a way as to disguise, not conceal, his intricate half-rhymes and sonorous tones, often leaving the bell-notes of the sounds of words to ring of each other from five or six lines away, such was his intuitive control over the language at hand. Hodgins’ poems have been a constant source of inspiration. His best poems are brilliant examples of how human influence ebbs and flows within the context of the natural world. Almost all of your work revolves around vivid landscapes, particularly ocean imagery, and the relationship between nature and humanity. There were well-defined landscapes and oceans in The Welfare of my Enemy too. As Frank O’Hara couldn’t enjoy a blade of grass unless there was freeway nearby, it seems I wasn’t able to enjoy a good mystery and disappearance unless there was a desert scene, mountain range, or sea spray blowing in from somewhere, and not infrequently. On Friday night, August 25, 1978 Stephen Lapthorne and his partner Michelle Pope vanished while driving in Stephen’s lime-green Bedford van. I knew Stephen well. They disappeared somewhere between Pymble, on Sydney’s north shore, and Berowra in the Kurringai area. They’ve never been seen. My long sequence of poems (untitled) tried to engage with the phenomenon of missing persons in ways that embraced both narrative and lyric poetry, and using mostly half-rhymed end-words. The majority of situations are fictional, though many are informed by fact, especially the details of Stephen and Michelle’s disappearance. I believe Ivan Milat is responsible. He was working on the Kurringai council at the time. My theory is that he staged a breakdown in a stolen car on the Old pacific Highway, and when Stephen and Michelle pulled over to help, he overpowered them and drove the van to where it could be buried. I also believe that the van containing their remains may be buried on a property near the Wombeyan caves road. The Missing Persons unit seem loathe to act on what they see as wild conjecture, especially after thirty six years. The Welfare of my Enemy was a difficult book to write. The subject-matter saddened me. Writing from the perspectives of victims, family members and perpetrators of crimes took its toll, and I stopped reading and writing poetry for awhile. If it’s true that writing poetry can be hell on our mental health, I wouldn’t recommend Missing Persons as a theme for anyone. I do feel it’s an important book. It was a long time in the making, and when it came to the writing, it happened fairly quickly. The poems fell into place, the voices announced themselves, and I had a good first draft in six months. You have consistently written in a more ‘traditional’ style, compared to what is being done by some contemporary poets in terms of form. While some experiments lose feeling and sincerely, your style lends itself to great evocation and is consistently in line with the reputation you have already built. Your collections, throughout your career, have advanced this style, using free verse to create your syntax and music within the lines. When considering this, do you think the quality of the work is in its syntax, rather than the form in which the poem is presented to the reader? And how much do you think the visual presentation of the poem on the page affects its reading? Many poets change their style. Some do this consciously, and the reasons for this can be complex. James Dickey made the decision to leave behind the ‘night-rhythm’ (written from the pulse, not a calibrated syllabic placement) of his first three or four books, and instead focus on a long line with gaps to represent pauses in breathing. Dickey was disingenuous in that he criticised the ‘Projective Verse’ of Charles Olson, then went on to employ in his own poetry much of what Olson was advocating. ‘Projective Verse’ involved the natural run, extension and end to the breath in a line of poetry, thus freeing the line from metrical constraints. Dickey called Olson’s theory ‘creative irresponsibility,’ yet he embraced the long, broken line, using the typewriter to great effect to shape both the line and its visual power. The appropriation of ideas is nothing new, though Dickey was not one to hide behind a device or theory and hope no-one would notice. His use of Olsen’s methodology worked. It became a part of his thinking and breathing, in the composition and editing, and the majority of his books used this long line. The main problem with a deliberate attempt to change one’s style is the sudden shift in register, the general tone and shaping of the poems. On a surface level, this seems fine: why not cut the finely-crafted lines that connect stanzas and pack up the well-worn and second-skin twists to syntax? Anyone can make the decision to dramatically change how they write, yet by doing this, the essential deep unknowing that comes from many years of allowing association, chance and diffuse intuition free-play can be hobbled, or even cauterized. There is no one way poems are made, yet most go through many stages. My poems generally begin with a line scribbled down with no thought as to what it might mean or where it’s likely to go. I will run with what arrives, extending the line, shaping it, teasing out its visual and aural possibilities, delighting in what emerges, word by word. I treat every line as a poem, and I’m not able to move on until I’ve taken it as far as it can go. Then I’ll start another. The process begins again. By working this way, each poem develops with a series of startling surprises and challenging problems. While I don’t over-think how a poem will look on the page, I do play with form as I go, concentrating, even in the very early stages, on where to end the line. This helps with structure and so assists with rhythm. Investigating the variousness and possibilities of syntax, a poem’s music begins to surface, and this leads to its shape. Eventually, when a poem has gone through many hand-written drafts; when the table and floor are patched with blackened pages; I’ll start to craft a poem into its final shape. The process begins again, though this time its a one made while being fully-conscious, and its done on the screen. Poems can go through fifty or sixty visual versions before I set them free. Finally, after putting constant pressure on each line, a poem will crack open and reveal its shape. My hope is for a poem that achieves the best possible balance between how it sounds, feels, and looks on the page. Given the precision and constant vigilance I bring to each new poem, I’ve never been able to step away and decide to change the way I write just for the sake of it. I don’t see the point. I’m told that my poems and books have changed anyway, over the years, in structure and tone. This might not amount to being experimental, and I’m fine with that. A poem’s visual arrangement can be a major part of its ability to engage a reader, or it can be a distraction. Poems should never be fashioned from couplets or sestets just for the sake of it. If, after many combinations and variations, realignment of lines and how to end them, a poem demands a certain form, stay with it. It will be the right one. The poems in my new collection Signal Flare went through many drafts at the final, shaping stage – some as many as eighty versions – before I was able to cut them free. The puzzle-solving is something that both delights and distresses me. Its hard-work, especially when it comes on the back of having spent weeks trying to end a poem. But that’s what it’s all about. There is so much to consider. When I tell my Creative Writing students that putting words down on a page is just the first step in what could well be months of work before a poem is finished, they are bright-eyed, bristling with adventure, and they think I’m joking. By the end of the semester their expressions are dark. They arrive at workshops wringing their hands. They speak in careful, enjambed sentences. Their bags are heavy with drafts. They get it. Do you find your influences have changed considerably throughout your years of writing poetry? One generally starts by reading the classics and those more well known international poets of old, moving on to contemporary Australian poetry later on. Are you influenced these days by new work you read as much as that which inspired you as a young poet? My influences range from poets whose work I return to frequently for sustenance and inspiration, to investigating the poems of new writers. I try to keep my finger on the pulse of what’s being published in Australia, the UK and America. The Best Australian Poems, Best American Poems, Best New Poets from the US, and Best British Poetry anthologies are always at hand. There are some wonderful new, young writers out there. The secret is to read constantly and widely. If you’re not an active, engaged reader of poetry, you’re work is unlikely to develop beyond its surface-tension. To break through, we need to embrace the past and present. A competent poet will remain within that competency if wide reading is abandoned. Recently I wrote a piece on Ambition for this blog. I mentioned poets who love the idea of being known as poets but who aren’t prepared to put the time and serious effort into craft, the nuts and bolts and false-walls needed to make poetry that stands out. Sadly, this is a common thread in poetry. There are young poets who just don’t extend their reading beyond the work of their peers. Big mistake. Some poets actively distance their true self from their poetic self, so to speak, using characters. Your work is often extremely personal, addressing particular life experiences openly. Pieces that come to mind are ‘Whistling Fox’, ‘Home After Two Weeks Away’, ‘The Drive’ and your chapbook of love poems Magnetic Field. Do you think these pieces are written as a means of coming to terms with experiences, out of necessity, or do you think the poetic and true self should be separate? I’ve heard many poets say they believe poetry is not supposed to be therapy. Do you think there is still a place for catharsis even if the ‘work of the poem’ is the main focus? In my course The Spellmakers – a dedicated poetry-reading course – I give a lecture on the so-called Confessional poets, where we read a number of poems by Anne Sexton, Robert Lowell, John Berryman, WD Snodgrass, and to the list up to date, Sharon Olds. Many of these poems address intimate, often disturbing details from the poet’s life. For Sexton and Olds, especially, there seems little doubt that the poems chronicle personal events and scenes, and at their best the poems are captivating and brilliantly conceived. With some poems I have not tried to conceal myself. The I is me, and for whatever reason I felt compelled to place myself front and center within a poem was of its place and time. I don’t regret this. The poems you’ve mentioned are, indeed, a lyrical recording of personal experience. I have tried, when addressing experience directly, to find a balance between the shock of the human presence and the best possible language with which to frame these experiences. When experience overrides the poem, it fails palpably. I also find the dramatic monologue a wonderful way to come to terms with experience. This form allows us to investigate personal issues while wearing a mask, or while standing off to one side, offering a list and commentary. It’s a powerful form but should be used sparingly. You’ve used the word ‘necessity’ and that’s exactly why these personal poems were written. They announced themselves. They needed to be written. I’m not interested, as mentioned previously in these blog postings, in poetry that works as therapy only, as catharsis. I’d rather stand in front of a mirror and play charades with myself. And while I love many of Anne Sexton’s poems, there were also a number that failed because she couldn’t harness the personal to the extent where it married the lyrical detail. The intimate or brutal details overextended themselves, and so the poems became like diary-entries in verse. In Signal Flare, many details of my life are there, yet I chose different vehicles with which to carry the details. And don’t forget the power of the lie. In this book I’m more interested in a close look at the lives of others. Aligning myself with the experience and emotions of others in a way that diminished (not removed) the raw effect of the I was my main objective here. Even when I was there, it might have been an embodiment of myself and others, or someone imagined completely. I don’t have a sense of where my next poems will lead me, but my bags are packed, my passport is current. Robbie Coburn was born in June 1994 and lives in the rural district of Woodstock, Victoria, Australia. His first full collection of poetry Rain Season (Picaro Press) was published in 2013. He is well into a second collection, The Other Flesh. A chapbook, Before Bone and Viscera, will be published by Rochford Street Press later this year. He regularly reviews books for Rochford Street Review.